I think there is an issue with this related to the multi-version feature, but single standalone files should be fine. Thanks. Doesn't seem to me working for me, I refreshed metadata, did another library scan, still can't get 4k movies through filtering. All other resolutions work, just not 4k. Just tried it with .16 using Chrome and it seemed to work. Got back both SDR and HDR 4K movies. Kind of wish it has a total though. 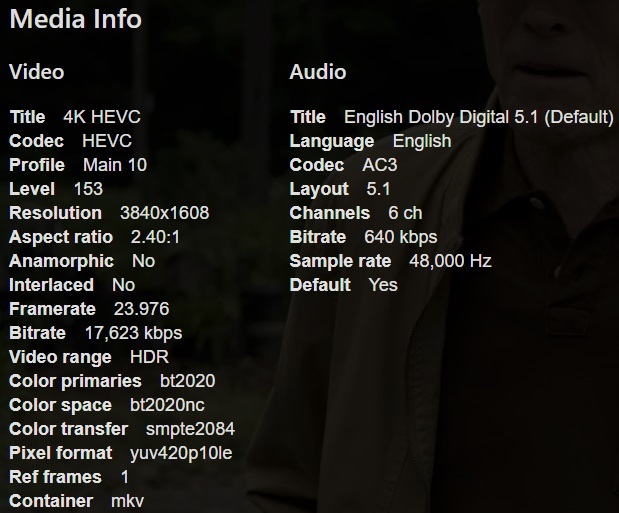 I've got about 30 or so 4k HEVC movies and just can't seem to get them to show up with enabling the filter. Could it being a HEVC be the problem? Do you have your 4K movies in separate libraries? Maybe that's it. I don't have multiple versions of any movies. Yes it's multi-versions doing this. It also has the same affect when using statistics. According to the stats plugin I've got ZERO 4K movies. If I separate my 4K and 1080p movies the counts go up in stats and I can also filter them.